San Diego, CA – This fall, SommCon® returns to San Diego bringing together professionals of all levels to discuss, develop and lead the conversation on the business of wine. Held November 16-19, 2016 at the Marriott Marquis San Diego Marina, SommCon’s® education is built by some of today’s most influential palates for trade professionals and serious enthusiasts who have a passion for wine and spirits and an unyielding quest for knowledge. Boasting over 40 sessions, attendees learn and taste alongside the industry’s best and brightest through keynote sessions and educational classes complete with networking opportunities, a trade-only tasting and expo. The conference begins on Wednesday, November 16 with professional certification opportunities including the WSET (Wine & Spirits Education Trust) Level 1 Award in Wine offered by the Neptune School of Wine, as well as Certified Cicerone®, the second level of certification through the Cicerone Certification Program. The main conference is held Thursday, November 17 and Friday, November 18, and includes in-depth sessions led by industry thought leaders, round-table discussions, regional explorations, and The Trade Tasting at SommCon®, featuring over 100 wineries, breweries, spirit purveyors, and service industry brands. 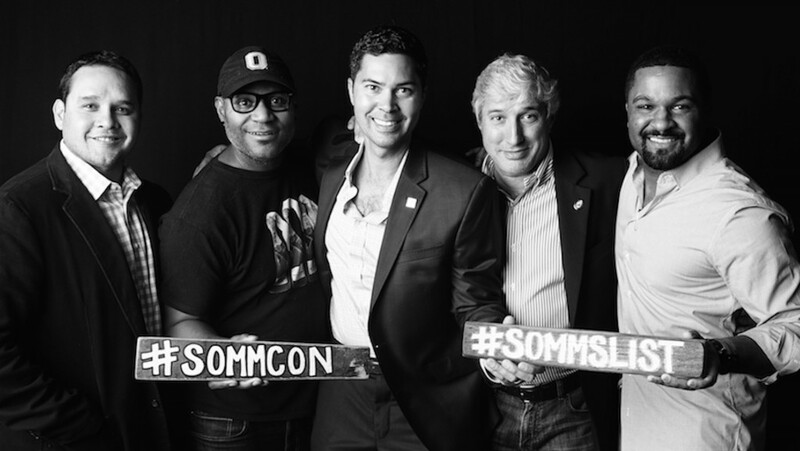 SommCon® concludes on Saturday, November 19 at the San Diego Bay Wine + Food Festival’s Lexus Grand Tasting – Southern California’s most exciting weeklong epicurean experience. Young professionals under the age of 30 who have a passion for entering a profession in the wine industry or expanding their knowledge can apply to receive free conference registration through the Young Leader’s Summit Scholarship. Applications are due by September 15, 2016 and can be found here. SommCon® is only open to 300 registrants, and for those in attendance, there are several ways to participate, with conference packages and single day passes available. Sponsors and educational partners to date include: The SOMM Journal, The Tasting Panel Magazine, Napa Valley Vintners, Russian River Valley Winegrowers, Wines of Alsace, Bourgogne Wine Board, Furmint USA, Les Vins De Médoc, Sta. 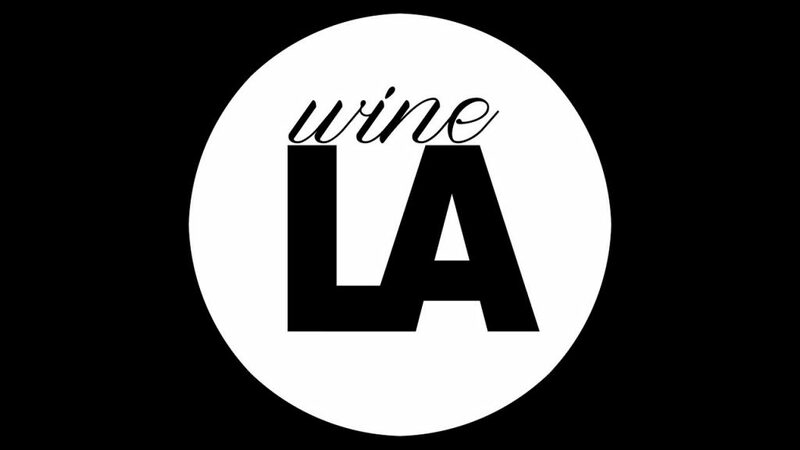 Rita Hills Wine Alliance, Vins de Bordeaux, Society of Wine Educators, Castello Banfi, Rias Baixas Wines, Wines of Germany, Côtes de Bordeaux, Left Coast Cellars, Wine Spectator, Somm’s List, and Southern Glazer’s Wine & Spirits. SommCon® panelists, presenters and speakers include: Jesse Becker, Master Sommelier, Market Specialist, Craft + Estate; Amy Christine, Master of Wine, Black Sheep Finds Winery; Fred Dame, Master Sommelier, American Wine & Spirits; Erik Entrikin, Master Sommelier; David Glancy, Master Sommelier, San Francisco Wine School; Mary Gorman-McAdams, Master of Wine, Bordeaux Wine Council; Tim Gaiser, Master Sommelier; Eric Hemer, Master of Wine, Master Sommelier, Southern Glazer’s Wine & Spirits; Geoff Labitzke, Master of Wine, Director of Sales & Marketing, Kistler; Joseph Spellman, Master Sommelier, JUSTIN Vineyards and Winery; Peter Koff, CWM, MS, President, Fairest Cape Beverage Company; Brad Alper, Winegrower, Square Peg; Bryan Babcock, Winemaker, Babcock Vineyards; Geralyn Brostrom, Italian Wine Central, Certified Wine Educator, Italian Wine Professional; Ken Brown, Owner, Ken Brown Wines; Randy Caparoso, Editor-At-Large, The SOMM Journal, Contributing Editor, The Tasting Panel; Jim Clarke, Marketing Manager, Wines of South Africa, USA; Guy Davis, Founder, Farmer, Winemaker, Davis Family; Maurice DiMarino, Level Two Masters Guild of Sommeliers, Wine Director, Island Prime; Wayne Donaldson, Head of Production, The Calling; Maureen Downey, DWS, CEW, Columnist, Wine-Searcher.com; Eric Flanagan, Founder, Flanagan Winery; Damon Goldstein, Truly Fine Wines; Randall Grahm, Owner, Bonny Doon Vineyard; David Hejl, Proprietor, Winemaker, Domaine Della Winery; Kathy Joseph, Proprietor, Winemaker, Grape Herder, Head Fiddle, Fiddlehead Cellars; Greg Koch, CEO and Co-Founder, Stone Brewing; Bryan Kvamme, Winemaker, Martinelli; Cristina Mariana-May, Family Proprietor, Castello Banfi; Dewey Markham Jr., DMj Wineworks; Meridith May, Publisher/Editorial Director, The Tasting Panel, The SOMM Journal, The Clever Root; Luke McCollom, General Manager, Viticulturist and Founding Winemaker, Left Coast Cellars; Boyd Morrison, Winemaker MacMurray Estate Vineyards; Josh Nadel, Beverage Director, NoHo Hospitality Group; Frank Ostini, Owner, Chef Winemaker, Hitching Post II; Lindsay Pomeroy, BA, WSET Diploma, CWE, FWD, Owner and Chief Wine Educator, Wine Smarties; Jim Pratt, Winegrower, MacPhail; Dlynn Proctor, Penfolds Ambassador, Americas and Canada; David Ramey, Founder, Winemaker, Ramey Cellars; John Rielly, Fine Wine Development, Manager-West, Terlato Wines International; Jon Ruel, Chief Executive Officer; Trefethen Family Vineyards; Richard Sanford, Owner, Alma Rosa Winery & Vineyards; George Thornton, Co-Founder, The Homebrewer; Raj Vaidya, Head Sommelier, DANIEL; Rachel Voorhee, Director of Wine Education, Wine Director, Rodney Strong Vineyards; Mark Weslar, Vice President of Marketing, Karl Strauss Brewing Company; Jennifer Glanville, Brewer and Director of Brewery Programs, Samuel Adams. SommCon® takes place November 16-19, 2016 at Marriott Marquis San Diego Marina in San Diego, California. For more information or to purchase conference registration, visit: SommConUSA.com and follow SommCon®on Facebook, Twitter, Instagram and LinkedIn. Discounted accommodations are available at the Marriott Marquis San Diego Marina for SommCon attendees, make reservations here. 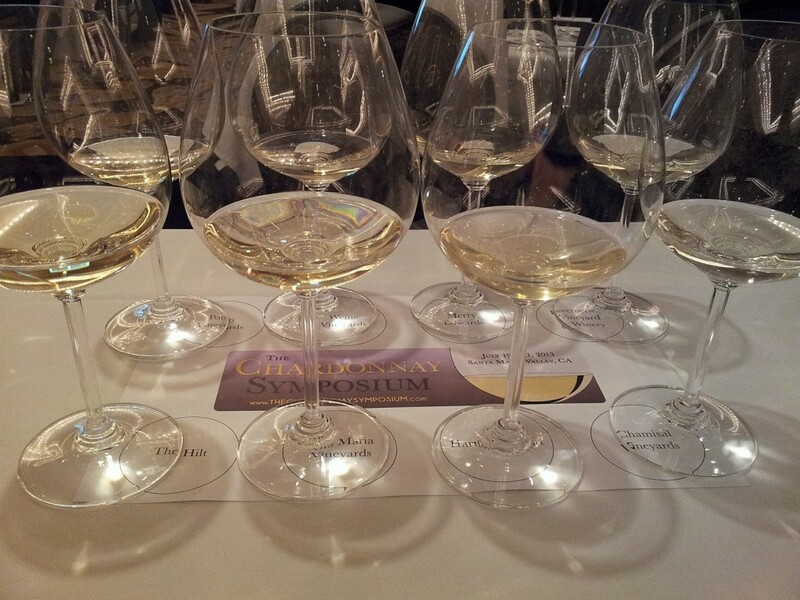 Pismo Beach, CA – The International Chardonnay Symposium, (ICS), TheChardonnaySymposium.com, the world’s foremost gathering of premium Chardonnay producers, sommeliers, trade and enthusiasts, announced the official medal winners of the 2016 International Chardonnay Symposium Wine Competition. The ICS 2016 and The SOMM Journal selected leading sommeliers to judge the extensive double-blind tasting of Chardonnay from around the globe. The medal winners were announced at the Symposium’s Annual La Paulée Dinner and Vintner Awards Ceremony, held this year at Greengate Ranch & Vineyard in the heart of the Edna Valley AVA in mid-May. The 2016 ICS was held in the seaside resort towns of Pismo Beach, ClassicCalifornia.com; Avila Beach, VisitAvilaBeach.com; and the Edna Valley, an area of the Highway 1 Discovery Route in San Luis Obispo County, Highway1DiscoveryRoute.com. The SOMM Journal and the ICS named Alicia Ajolo of taste wine-beer-kitchen in Long Beach, California, as the Symposium’s 2016 Top Sommelier. Ajolo was one of the judges at the day-long wine competition where she determined the origin of the most of wines during a double-blind tasting. 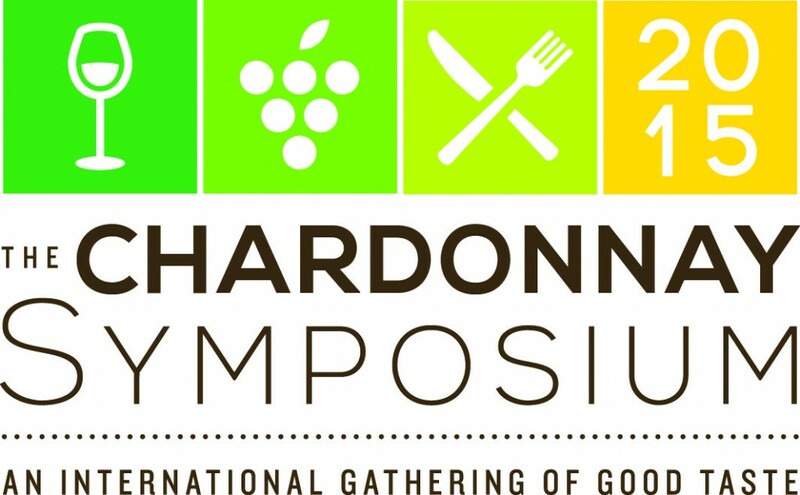 The International Chardonnay Symposium attracts winemakers, sommeliers, media, trade, wine enthusiasts and tastemakers from across the globe to enjoy and study the world’s favorite grape. When the discussion ends, there’s plenty of time for exploring nearby Central Coast wineries, as well as the hosting seaside resort towns of Pismo Beach and Avila Beach that offer downtown winetasting rooms, pristine beaches, surfing and kayaking, hiking and biking trails, farm-to-table and seaport-inspired cuisine, boutique shopping, and more. The International Chardonnay Symposium is sponsored by Pismo Beach Conference & Visitors Bureau, Avila Beach Tourism Alliance, California Highway 1 Discovery Route, Visit San Luis Obispo County, The Tasting Panel Magazine, The SOMM Journal, Wine Enthusiast Magazine, 805 Living, Touring & Tasting, Greengate Ranch & Vineyard, Riedel, Farm Credit West, San Luis Obispo County Regional Airport, Wisconsin Milk Marketing Board, and Yelp. San Luis Obispo County’s Pismo Beach, Avila Beach and the Highway 1 Discovery Route destination towns are located on California’s famous Central Coast, halfway between San Francisco and Los Angeles. With miles of pristine Pacific coastline, enjoy great weather, a plethora of outdoor activities, rich wild life and nature preserves, downtown wine tasting rooms, and the neighboring world class wine producing regions of the Edna Valley, Arroyo Grande Valley, Santa Maria Valley and Paso Robles. For information on the wide variety of lodging choices, accommodating every budget and lifestyle, visit ClassicCalifornia.com, VisitAvilaBeach.com, and Highway1DiscoveryRoute.com. 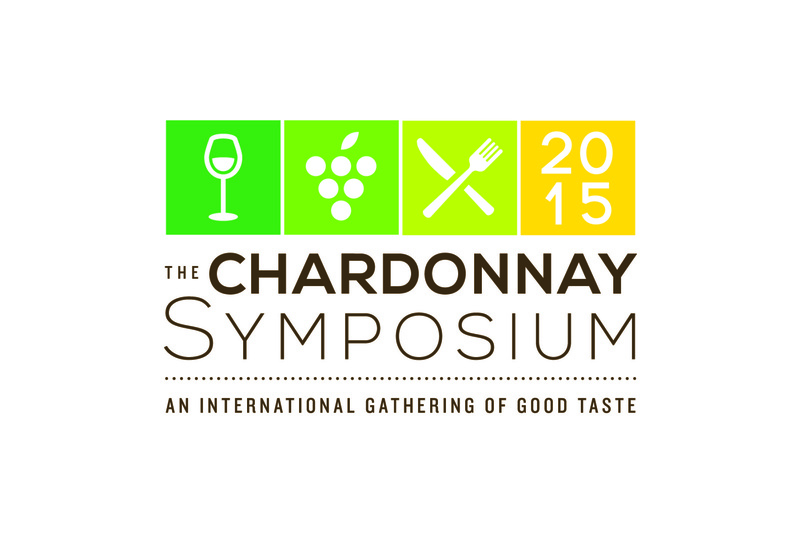 December 9, 2015 (Pismo Beach, CA) –The world’s foremost gathering of Chardonnay producers, The International Chardonnay Symposium (TheChardonnaySymposium.com), will feature a line-up of top global Chardonnay winemakers, sommeliers, media, trade, foodies and wine enthusiasts during this year’s events, May 12-14, 2016. The Symposium will take place in the classic California beach towns of Pismo Beach and Avila Beach with a grand tasting at the picturesque Greengate Ranch & Vineyard (GreengateWeddings.com) in Edna Valley wine country. What’s Oak Got to Do With It? Additional events include a Vintners’ Wine Tech Symposium, Sommelier Chardonnay Challenge, Grand Tasting, La Paulée Dinner and Awards Ceremony and new to this year’s event, the Pét-Nat, Sparkling Wine and Oysters Gala. Early-bird tickets to the Saturday Grand Tasting are available and can be purchased by visiting TheChardonnaySymposium.com. Complimentary tickets for qualified media to the three-day event can be requested by emailing TCS@ParkerSanpei.com. 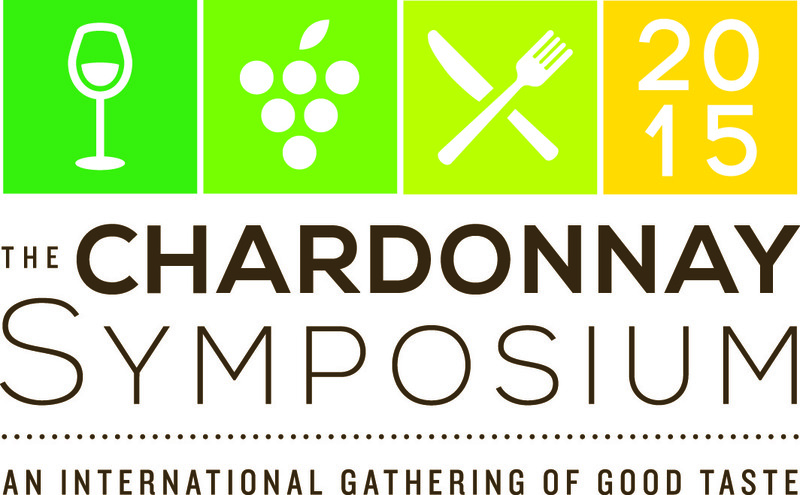 The International Chardonnay Symposium attracts winemakers, sommeliers, media, trade, foodies, wine enthusiasts and tastemakers from across the globe to enjoy and study the world’s favorite grape. When the discussion ends, there’s plenty of time for exploring nearby Central Coast wineries as well as the hosting seaside resort towns of Pismo Beach and Avila Beach that offer downtown winetasting rooms, pristine beaches, surfing and kayaking, hiking and biking trails, farm-to-table and seaport-inspired cuisine, boutique shopping, and more. The International Chardonnay Symposium is sponsored by The Tasting Panel Magazine, The SOMM Journal, Pismo Beach Conference & Visitors Bureau, Avila Beach Tourism Alliance, and the California Highway 1 Discovery Route. For more information, visit TheChardonnaySymposium.com. San Luis Obispo County’s Pismo Beach, Avila Beach and the Highway 1 Discovery Route destination towns are located on California’s famous Central Coast, halfway between San Francisco and Los Angeles. With miles of pristine Pacific coastline, enjoy great weather, a plethora of outdoor activities, rich wild life and nature preserves, downtown wine tasting rooms, and the neighboring world class wine producing regions of the Edna Valley, Avila Valley, Arroyo Grande Valley, Santa Maria Valley and Paso Robles. For information on the wide variety of lodging choices, accommodating every budget and lifestyle, visit Classiccalifornia.com, VisitAvilaBeach.com and Highway1DiscoveryRoute.com. December 2015 (New York, NY) – The Women of the Vine Alliance recently published the agenda for the second annual Women of the Vine Global Symposium on its website, WomenOfTheVine.com. The benchmark event is to be held April 4-6, 2016 at the Meritage Resort & Spa, Napa, and will include a recent addition to the lineup, keynote speaker Lynda Spillane. An accomplished psychologist, speechwriter and coach, Lynda Spillane is considered the best in the world at transforming heads of state, presidents, CEOs and executives into high-performing public speakers and communicators, and will present an address at the Women of the Vine Global Symposium entitled, “Brilliant Women, Excellent Speakers.” Other keynote speakers include Vice President of Marketing, E&J Gallo Winery, Stephanie Gallo, speaking on the subject of “Cultivating Boldness for Personal Growth and Professional Gain,” as well as President & CEO, House of Krug, Maggie Henriquez, and Founder, South Africa’s House of Mandela Wines, Dr. Maki Mandela. Moderators scheduled for panels include Chief Wine Critic for the New York Times, Eric Asimov; Founder, Sokol Blosser Vineyards, Susan Sokol Blosser; Senior Director of Human Resources for Domestic Sales and Affiliated Distributors, E. & J. Gallo Winery, Alison Jerden; Executive Editor, Wine Enthusiast Magazine, Susan Kostrzewa; Wine Educator, Author, Consultant and Speaker, Leslie Sbrocco; M.S., CWE, Corporate National Accounts On-Premise Glazer’s Family of Companies, Guy Noel Stout; Founder and Motivator in Chief, Force Brands (BevForce, FoodForce), Josh Wand; and Executive Vice President, Sales & Marketing, Vintage Wine Estates, Terry Wheatley. Panelists for the second annual Women of the Vine Global Symposium include: Marilisa Allegrini, Allegrini Estates; Mary Barranco, Southern Wine & Spirits; Karena Breslin, Constellation Brands; Laure Colombo, Vins Jean-Luc Colombo; Jennifer DePaola, Young’s Market Company; Barb Egenhofer, Constellation Brands; Rachael Ellas, Ste. Michelle Wine Estates; Kelly Gamble, Ste. Michelle Wine Estates; Violet Grgich, Grgich Hills Estate; Sandra LeDrew, Treasury Wine Estates; Lorraine Luke, Republic National Distributing Co.; Helen Mackey, Ruth’s Chris Steak House; Cristina Mariani-May, Banfi; Simeen Mohsen, Vintages by Harlequin; Roberta Morrell, Morrell & Co.; Donna Morris, Winderlea Vineyard, OR; Anita Cook-Motard, Glazer’s; Maeve Pesquera, Fleming’s Prime Steakhouse & Wine Bar; Jayne Portnoy, Napa Technology; Rachel Seder, Southern Wine & Spirits; Clarice Turner, Starbucks; and Carolyn Wente, Wente Vineyards. The symposium also offers multiple networking opportunities with the alcohol beverage industry’s top professionals and influencers, including executive management, human resource professionals, directors of sales and marketing, on- and off-premise wine and spirits buyers, distributors, wine educators, winemakers, sommeliers, mixologists, importers/exporters, winery owners, public relations, media, viticulturists, hospitality operations, and more. To view the full agenda, visit WomenOfTheVine.com. As of today, Sponsors so far for the Women of the Vine Global Symposium include Founding Sponsor, Southern Wine & Spirits of America, Inc.; Diamond Sponsors: CF Napa Brand Design, Constellation Brands, E. &J. Gallo Winery, Glazer’s, Moët Hennessy USA, Ste. Michelle Wine Estates, The SOMM Journal, The Tasting Panel Magazine; Platinum Sponsors: Palm Bay International, Treasury Wine Estates, Vintages by Harlequin, Vintage Wine Estates; Gold Sponsors: Bacardi, Banfi, Charmer Sunbelt Group, Fetzer, Global Wine Cellars, J. Lohr Vineyards & Wines, Pernod Ricard USA, Republic National Distributing Company, Rodney Strong Vineyards, Trinchero Family Estates, Wente Vineyards, WineShop At Home, Young’s Market Company, among others. For sponsorship inquiries, please contact Deborah Brenner at info@womenofthevine.com, or call 888-750-1863. The Women of the Vine Alliance is a membership-based alliance that empowers and equips women worldwide to advance their careers in the alcohol beverage industry, fostering gender diversity and talent development across the industry at large. 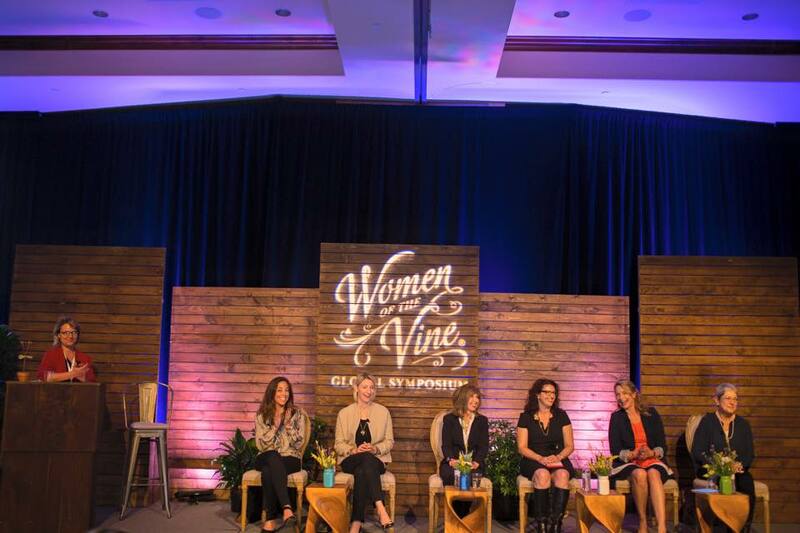 Guided by an advisory board of top international executives in the alcohol beverage industry, Women of the Vine offers extensive education, advocacy, training, mentorship, networking and steadfast support for women at every position in the field, particularly through the annual Women of the Vine Global Symposium, April 4-6, 2016 in Napa, California. Women of the Vine: Raising the Bar. For more information, please visit WomenOfTheVine.com or call 888.750.1863. LOS ANGELES -The publishers of The Tasting Panel magazine and The SOMM Journal have announced the fall 2015 launch of The Clever Root, a new quarterly magazine about everything good that grows. A chef-driven, farm-to-table and ingredient-focused publication, The Clever Root lends an informed and educated voice to the world of growables, including cannabis. Each issue will feature columns from the editorial team, including Managing Editor Karen Moneymaker and Vice President of Editorial Rachel Burkons, who will produce in-depth articles on subjects from farm to fruit, leaf to herb – and the working tastemakers who buy, forage, prepare and grow these ingredients for the dishes served at the country’s top restaurants. “The time is now to take a deep dive into the world of growables and provide expert knowledge to a motivated audience of chefs, buyers and restaurant industry trade. We’ll explore the organic lifestyle like never before, and shed light on a thriving cannabis industry,” says Meridith May, Publisher and Editorial Director of The Clever Root. Subscriptions are $10 per issue or $36 for an annual subscription and will be targeted to chefs, restaurateurs, directors of food and beverage, grocery food buyers, and wine and spirits stores and high-end consumers. The Clever Root can also be found at gourmet shops, dispensaries, newsstands, wine and food events, cannabis conferences, and culinary and wine schools. 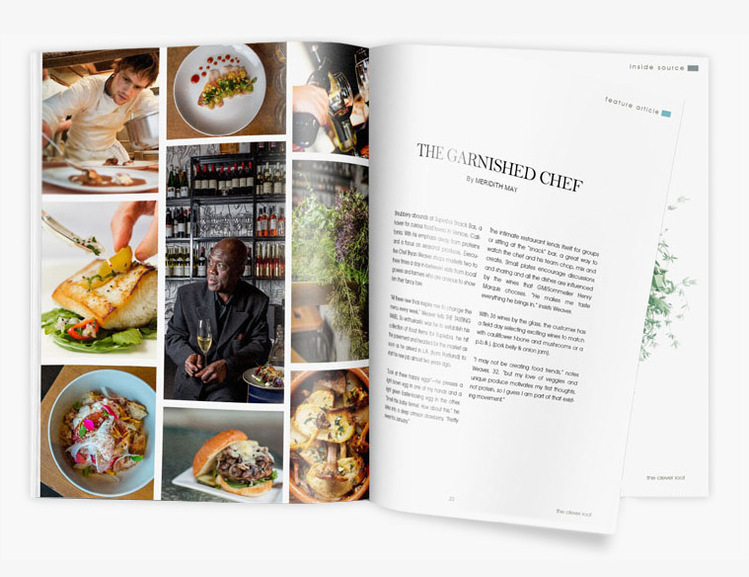 “We’re proud to announce that our inaugural issue will feature a cover story on Chef Daniel Patterson, a renowned American chef, restaurateur and food writer. Notable chefs and other industry personalities will grace the cover of each quarterly issue, spotlighting the cultivators of tomorrow, behind-the-scenes look at chefs’ gardens, biodynamic cooking and winemaking, and cannabis education,” adds May. For subscriptions, email info@TheCleverRoot.com. The digital version of The Clever Root plus original content will be found at TheCleverRoot.com. Pismo Beach, Calif – With nearly 1,000 attendees and over 100 participants, the International Chardonnay Symposium descended on the beachfront communities of Pismo Beach and Avila Beach with seminars, dinners, and tastings that attracted the wine industry’s foremost winemakers, sommeliers, and journalists, as well as many devoted consumers. Attendees to the Symposium were treated to panels moderated by top industry experts, including Master Sommelier Fred Dame, Master Sommelier Brian McClintic, Master Sommelier Bob Bath, cheese educator and author Laura Werlin, and VP of Sales and Marketing for The Thornhill Companies Nicholas Miller; covering such topics as “To Oak Or Not To Oak?,” pairing food with Chardonnay, and the fashion, evolution and diversity of the world’s favorite white wine grape. Panel discussions also featured the culinary talents of Chef Christopher Manning of Thomas Hill Organics in Paso Robles and Chef Vatche Moukhtarian of the Cracked Pepper Bistro in Fresno, California. Two grand tastings featured hundreds of Chardonnays in multiple styles, from dozens of appellations from across the globe, in addition to two separate wine auctions benefitting Cal Poly University’s Wine & Viticulture and Recreation, Parks & Tourism Administration departments. The La Paulée dinner at Lido of Dolphin Bay Resort & Spa included vintners’ favorite library wines and cuisine by Chef Jacob Moss and Guest Chef Ari Kolender of Leon’s Oyster Shop and Saint Alban in South Carolina. 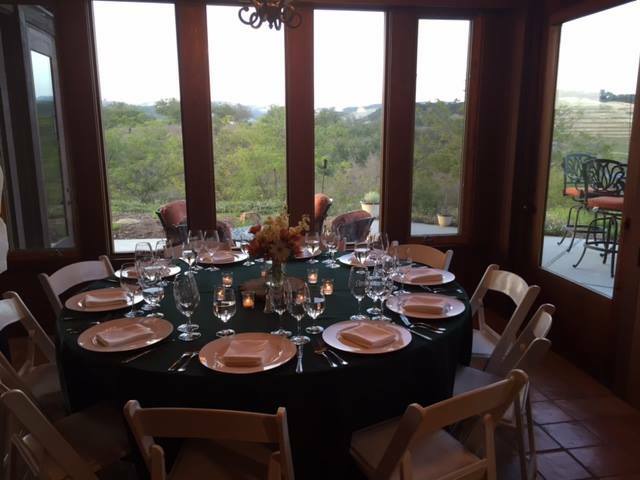 And the “Taste Like A Somm” dinner at The Gardens of Avila at Sycamore Mineral Springs showcased the talents of Chef Gregg Wangard and Chef Michael Avila, whose cuisine was paired with several Chardonnays for a double-blind tasting. Sponsors of the 2015 International Chardonnay Symposium include: Avila Beach Tourism Alliance, Pismo Beach Conference & Visitors Bureau, SLO County Tourism Business Improvement District, The SOMM Journal, The Tasting Panel Magazine, Wisconsin Milk Marketing Board, Biddle Ranch Vineyard, Farm Credit West, Grape Encounters, The Krush 92.5, Riedel, Sustainability In Practice (SIP), TricorBraun, and Vivant Fine Cheese. 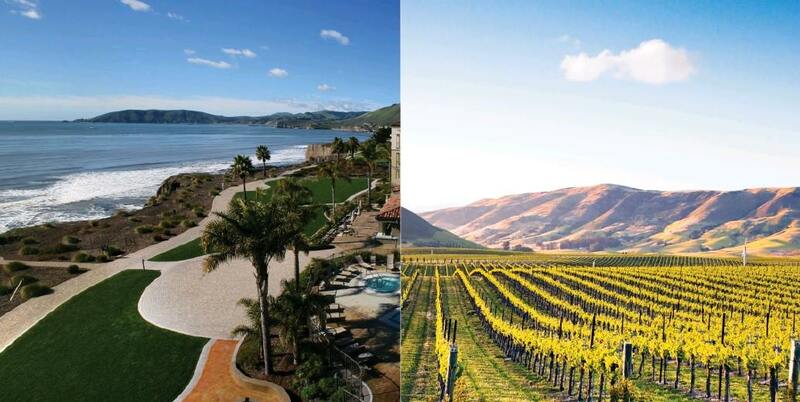 The 2016 International Chardonnay Symposium will be hosted in the beachfront communities of Pismo Beach and Avila Beach on May 12-14, 2016. For more information and to be added to the mailing list please email us at TCS@ParkerSanpei.com. San Luis Obispo County’s Pismo Beach, Avila Beach and ten Highway 1 Discovery Route destination towns are located on California’s famous Central Coast, halfway between San Francisco and Los Angeles. With miles of pristine Pacific coastline, enjoy great weather, a plethora of outdoor activities, rich wild life and nature preserves, downtown wine tasting rooms, and the neighboring world class wine producing regions of San Luis Obispo Wine Country, Santa Maria Valley and Paso Robles. For information on the wide variety of lodging choices, accommodating every budget and lifestyle, visit Classiccalifornia.com; VisitAvilaBeach.com and Highway1discoveryroute.com. Paso Robles, Calif – At its recent CABs of Distinction annual event, the Paso Robles CAB (Cabernet and Bordeaux) Collective (PRCC) proved, once again, that Paso Robles Cabernet Sauvignon and red Bordeaux-varietal wines compete with those from among the top growing regions across the globe. The 2014 En Primeur barrel tastings showcased how developments in viticulture practices, such as soil moisture probing, shoot thinning, and fruit-drop lead to exemplary wines that demonstrate the potential for Paso Robles to produce superior-quality Cabernets and red Bordeaux varietal wines. En Primeur is a great way for vintners to showcase the quality of the most recent harvest while the media and trade get an early assessment on the quality of the vintage. The Paso Robles’ phenolic phenomenon panel discussion led by Scott McLeod of Wine Xray highlighted the use of phenolic measurements in wine as a means to objectively measure the quality of the wine and terroir. Looking more specifically at color (bound anthocyanins) and tannins, phenolics can give an idea of the intensity of the vintage as well as the structure it has for aging. By looking at the numbers, one can observe that a vast majority of PRCC wines have color in excess of 200 parts per million and in some cases in excess of 300 parts per million. These numbers can rival the best regions of the world. Tannins range from the low 1,000s to in some cases low 2,000s, showing great structure across the board. The phenolic measurements analyzed by Wine Xray of the 2013 vintage undoubtedly show that Paso Robles has a terroir that rivals the best terroirs in the world in producing Bordeaux varieties. With all the intrigue, conjecture, and fun of a whodunit game, the blind panel recognized the two Paso Robles Cabernet Sauvignons in the lineup by their “warmth,” “tannic structure,” and freshness. Sponsors of the 2015 Paso Robles CAB Collective include: Smurfit Kappa Orange County / Orange County Container Group; The Tasting Panel Magazine; The SOMM Journal; FIJI Water; Paso Robles Wine Country Alliance; Parker Sanpei; Bruni Glass Packaging; GSO; Seguin Moreau; Farm Credit West ; Enartis Vinquiry; Cellotape / Landmark Label; Martinez Farming; Umpqua Bank; Portocork; Leroi Tonnellerie; Saury USA; Vintage Nurseries; Glenn Burdette; The Blueprinter; American General Media; Butlerz Events; WiVi; Cal Poly University; Paso Robles Inn; La Quinta Inn & Suites; La Bellasera Hotel. Members of the Paso Robles CAB Collective include: ADELAIDA Cellars, Ancient Peaks Winery, Bon Niche Cellars, Brecon Estate, Broken Earth Winery, Calcareous Vineyard, Cass Vineyard & Winery, Chateau Margene, DAOU Vineyards & Winery, Eberle Winery, Halter Ranch Vineyard, J. Lohr Vineyards & Wines, Jada Vineyard & Winery, JUSTIN Vineyards & Winery, Le Cuvier Winery, Opolo Vineyards, Parrish Family Vineyard, Pomar Junction Vineyard & Winery, Record Family Wines, Red Soles Winery, Rotta Winery, Sextant Wines, Villa San-Juliette Vineyard & Winery, and Vina Robles Winery. 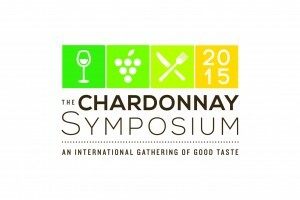 April 02, 2015 (Pismo Beach, Calif) –The world’s foremost gathering of Chardonnay producers, The International Chardonnay Symposium (thechardonnaysymposium.com) will feature top global Chardonnay winemakers during this year’s events, May 28-30, 2015 at The Dolphin Bay Resort & Spa (thedolphinbay.com) and The Cliffs Resort (cliffsresort.com) in Pismo Beach, California. Additional events include a Vintners’ Wine Tech Symposium, artisanal sausage and Chardonnay pairings, Sommelier Chardonnay Challenge, two Grand Tastings and La Paulée Dinner and Awards Ceremony. To learn about participation in these events or for tickets, please visit thechardonnaysymposium.com. San Luis Obispo County’s Pismo Beach, Avila Beach and ten Highway 1 Discovery Route destination towns are located on California’s famous Central Coast, halfway between San Francisco and Los Angeles. With miles of pristine Pacific coastline, enjoy great weather, a plethora of outdoor activities, rich wild life and nature preserves, downtown wine tasting rooms, and the neighboring world class wine producing regions of the Edna Valley, Avila Valley, Arroyo Grande Valley, Santa Maria Valley and Paso Robles. For information on the wide variety of lodging choices, accommodating every budget and lifestyle, visit Classiccalifornia.com; VisitAvilaBeach.com and Highway1discoveryroute.com.